After I finished writing, revising, and polishing my manuscript - a suspense novel set in Bulgaria - and after receiving very few responses from the many literary agents I had queried, I decided to take my next step in a completely independent direction. 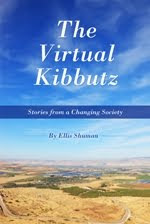 The world of publishing had changed, making it easier than ever to self-publish. I had read the success stories of indie authors and I was convinced that I could follow in their footsteps. 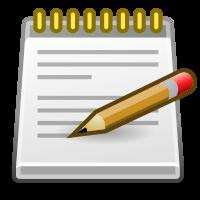 How would I find a suitable editor, one who would connect with my fiction and provide professional assistance and advice at a reasonable price? Just when I was ready to begin looking, Emily Suess added a Self-Publishing Services Directory to her blog. I also found listings on the Editorial Freelancers Association website. I selected fifteen candidates that I felt would be the most suitable to edit my fiction and I sent each of them a short email with a sample of my writing. To my surprise, and very much unlike the process of querying literary agents, most of the freelance editors replied with huge enthusiasm for my project. A suspense novel set in Bulgaria? Exciting! A missing Peace Corps volunteer? That's just the kind of book that interested them! With so many eager candidates, I had to select which editor would best edit my manuscript at the most reasonable price. Each of them had been sent a short sample of my writing, although in some cases I was asked to send a longer version. Three pages, one chapter, 50 pages - whatever was needed to demonstrate my writing abilities, showing the prospective editor how much work was to be done and showing me what editorial changes each would suggest. The responses I received were quite varied. One editor said he wouldn't change a single word in my first chapter, so I ruled him out right away. Another said he could only provide revision suggestions if he saw the entire manuscript in advance. I ruled him out as well. "The correct way to write the name of the Bulgarian currency is lev," one of the editors wrote in a comment listed in the Word document sent back to me. "Also, why do you repeatedly refer to your main character by his last name? Was that intentional?" 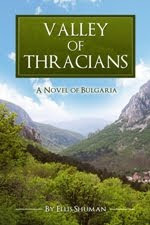 My suspense novel, Valley of Thracians, was published for Kindle at the end of January, 2013, and is now available in paperback as well. I would like to thank Amber Jones Barry for helping transform my writing into something I'm truly proud to present to readers. I highly recommend her to writers interested in hiring a professional freelance editor. Originally published on Suess's Pieces. Finding an editor is a tricky business. Just going through it now. Sounds like you found someone good though! Thanks for visiting Rinelle! Good luck finding someone just as talented as I did. I promise us editor types don't bite! I've been told many times that I couldn't possibly love to edit, that I must be a frustrated writer. There is nothing I love more than to be involved in making a manuscript sing, and nothing better than seeing a proud writer present their work to the world. This was really informative, Ellis. Thank you very much for taking the time to tell us how the editor-seeking process went for you. Very relevant article for me. I'm not alone!! Thanks, and I'll adopt my stratagem. As someone who sits on both sides of the fence (i.e. a writer and a professional editor), I couldn't agree more that you need another pair of eyes to check your work, but also to add the polish that only an experienced and professional eye can. I learnt so much when I trained as an editor that I had never thought of before and most writers don't. And unfortunately, when a self-published work is not edited properly, it shows. An informative and relevant post. I enjoyed reading about your self-publishing journey, and although not as far along as you on this adventure we call writing, I'll certainly keep your advice in mind. Great article! And I'm glad you found just the right person for your manuscript. One thing I did want to point out, though, is that there's a reason many editors ask for the entire manuscript prior to beginning the mark-up process. Quite often we'll mark something up (which takes time), only to find the reason for it is explained one, three, or nine chapters down the road. Although this isn't as important during the sample edit phase, it definitely is for the actual editing phase. Any editor who agrees to edit a project on a piece-meal basis has probably never edited before. Just my $0.02! Lorelei, I think Ellis was just speaking about the sample edits many editors offer today (including myself and the editors in my company) and not about some sort of piecemeal editing. B) If they can't tell how much work is needed by reading the first few chapters, they aren't very experienced. I ALWAYS send the sample edit back with a note that some of the notes I made may be moot as the answers to my questions may be answered later on, and that I may have more notes for the sample pages after reading the following chapters because of inconsistencies - any reasonable writer will understand this. Great article Ellis, keep writing! This was very informative! Thanks so much for sharing your experience. I am going through this now as well. I needed help in this area, so, thank you very much Ellis. I now have a much greater grasp of how to approach editors, the prices I am looking at possibly paying, and how to decide on one of the many. This was much appreciated by myself, and no doubt, other writers. Thank you Ellis for your article & to those who have shared above. I have just begun looking towards self-publishing & now realize that a "professional" pair of eyes scanning my novel will make all the difference to the grammar, punctuation & pacing of a suspenseful story. All the best to everyone in their respective projects. It's an online marketplace connecting writers and editors. You can post a job with specifics like Ellis did or view 'offers' from professionals peddling their services. I posted a job, got 12 offers, sent sample chapter to 3 editors who had impressive credentials. Eliminated 1 editor right away, chose one of the other two. You prepay 25% up front and the remaining 75% after the job is completed to your satisfaction. Great website and community. I have Bulgarian connections and look forward to reading the story. I think that advice about not always using the surname was good re your sample for editing. We want to be involved with a person! Names matter. You write the most interesting articles. Thank you so much for sharing! I look forward to reading more about your experiences in self publishing as well as marketing your book.